Simple and efficient solutions from idle ball. The throw-ins of Iceland. The Icelandic national team is so far the real surprise of this European Championship in 2016: team capable of proposing a game as simple as effective developed on well defined ideas and solutions designed specifically by coach Lagerback. 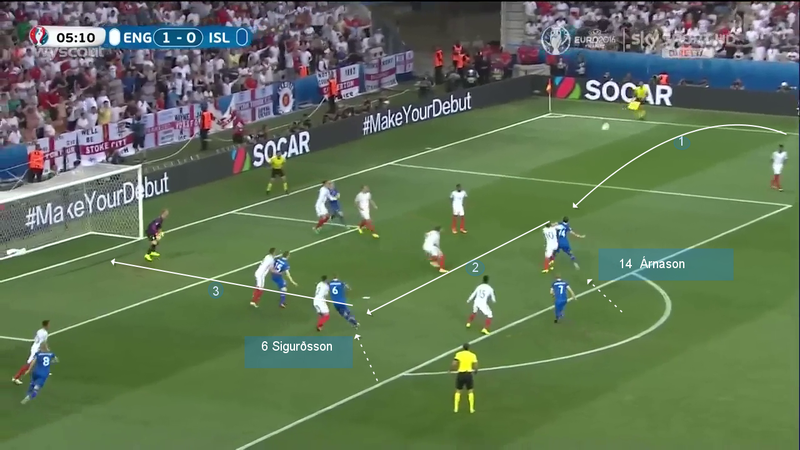 In the last two races with Austria and England, Iceland has proven to give importance to every detail from the effective management of any situation of inactive ball. The constant development from lineout offensive in the last third of the field is if joke entrusted to Gunnarsson who chooses the finishing solution on movement in the area of the first stake of the Defender Árnason which in turn prolongs the trajectory of the ball in favor of Comrade come behind him (in the first case the attacker Böðvarsson and the last race the Defender Sigurðsson) that can smoothly finalize on goal. This solution adopted in different races on lineout demonstrates the great tactical intelligence of Icelanders to exploit their great physicality in their favor by creating the conditions for being so unpredictable how effective realizzatoria time.